It was the summer of 2014 when my family had planned a 3-day trip out of Bengaluru. Everyone was almost done with packing when we realised that we needed to find somebody to water the plants. Unfortunately, we could not find anybody who was free to pitch in. 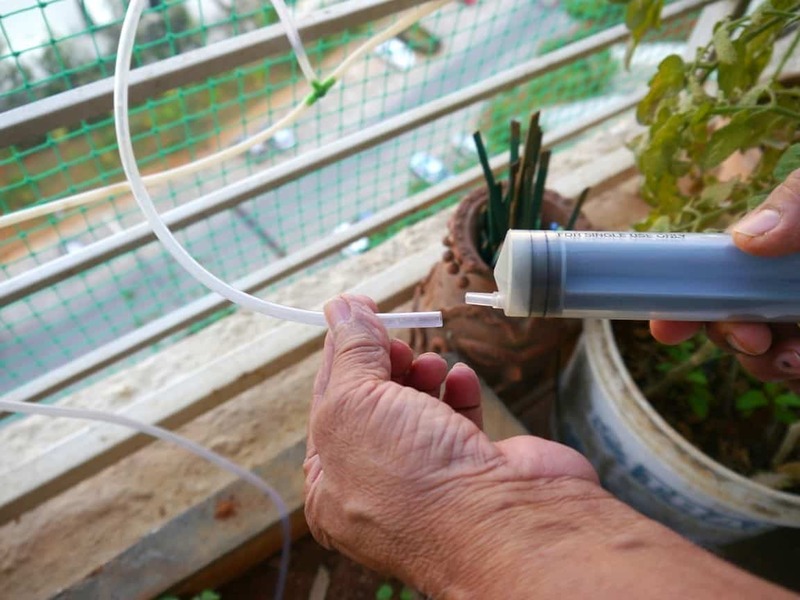 It was then that a bulb lit up over my father’s head and it was decided that we would set up a simple drip irrigation system that would water our plants. In less than four hours, the required materials were bought and we took off for our holiday, confident that our plants would be well-tended to. Today, almost a year later, the system continues to provide much-needed water for our plants, and with very little maintenance too. 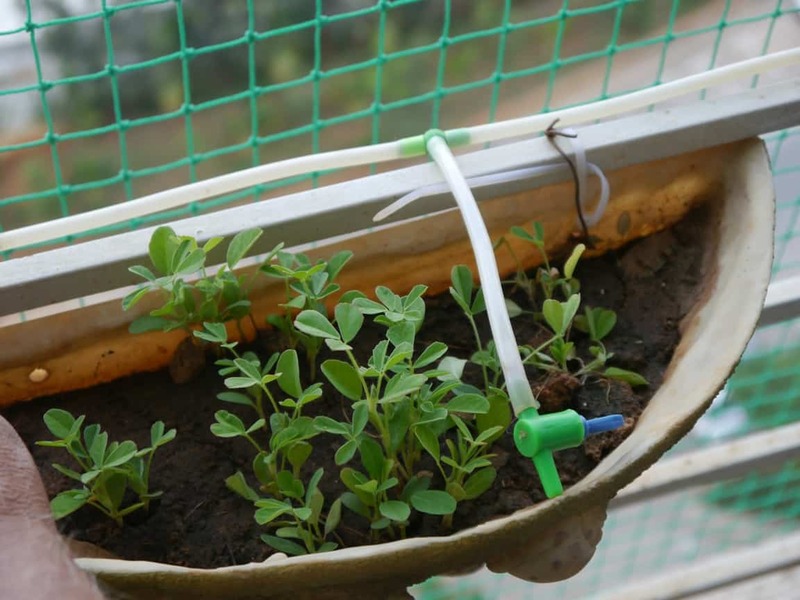 Here’s how you can set up one for your home garden. Step 2: Cut lengths of the tube such that they reach the base of the plants from the main water line. 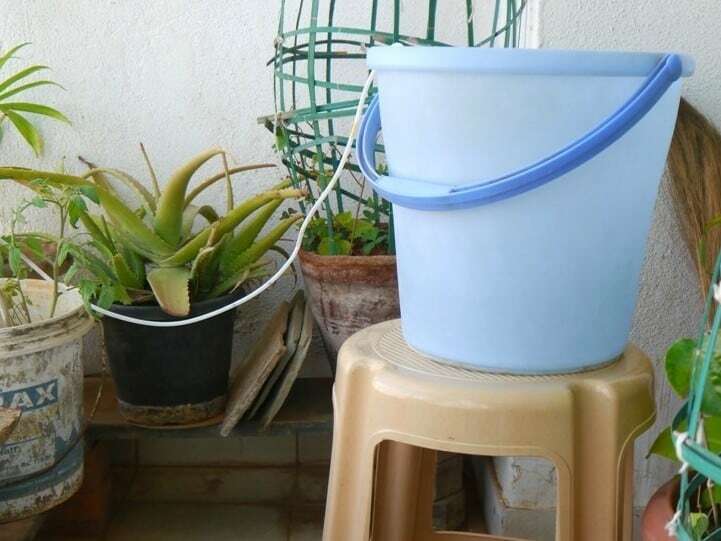 Step 9: Now that the water is flowing to all plants, place the tube at the bottom of a tub/bucket with water, which must be placed on a pedestal/stool (anything higher than your plants). 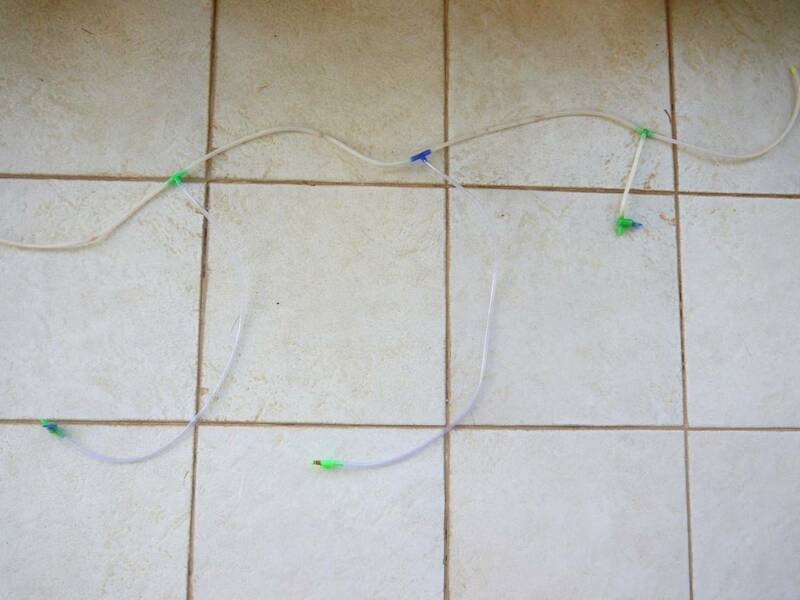 And viola, your DIY drip irrigation system is all set. Step 8: Open all the valves fully. 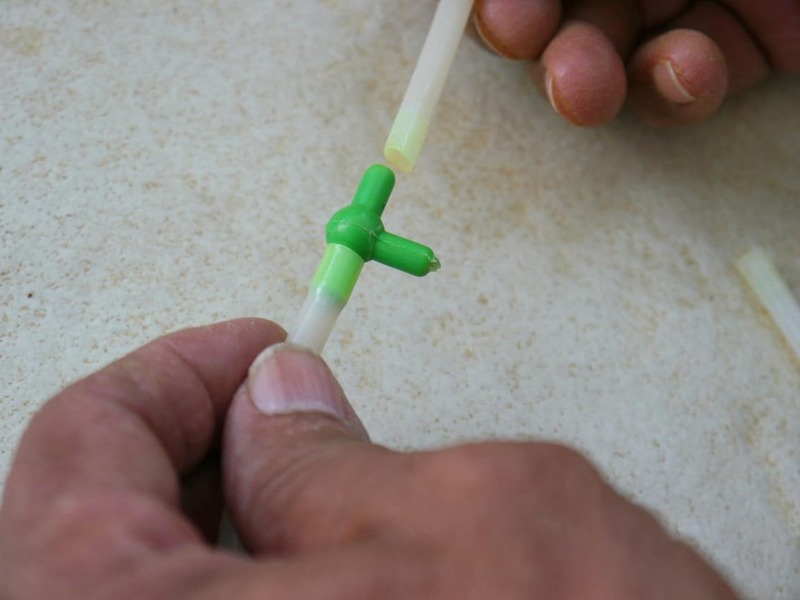 Fill up the syringe with water and pump water into the free end of the long tube, till water is flowing out of all valves. This is to ensure that the system is free of air bubbles. Step 7: Place the ends with the valves at the base of the plant. 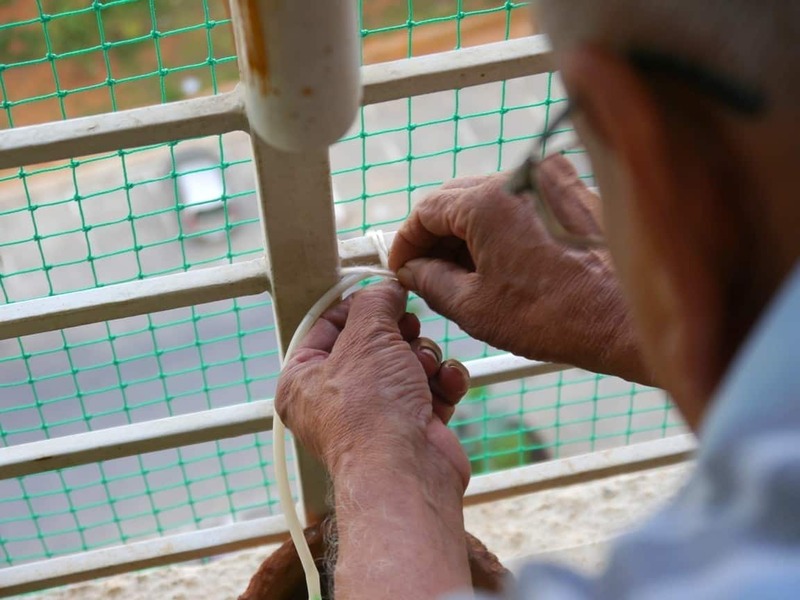 Step 6: Fit the system along a railing and tie it with string for support. If you do not have a railing, place the system on the same level as the plants or higher. 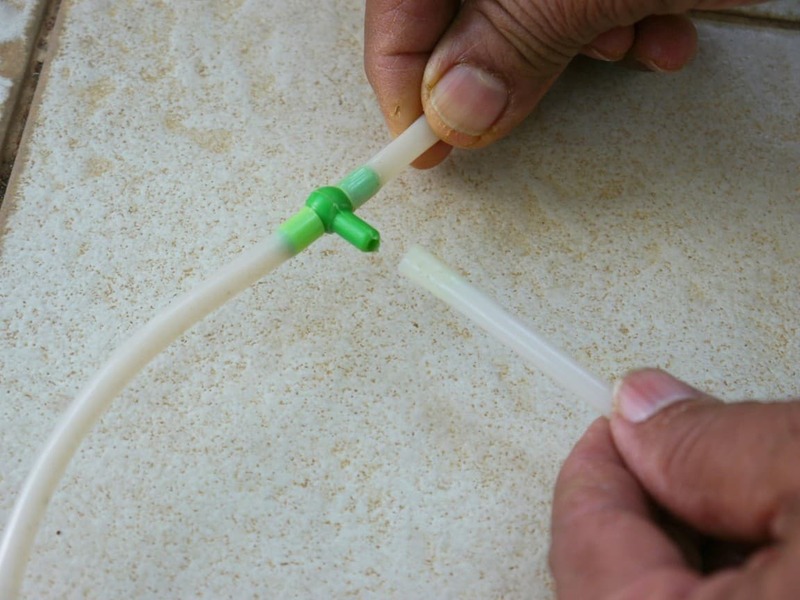 Step 1: Measure the distances between your plants and cut the tubing such that each length of tubing runs from one plant to the next. Step 5: Join a long piece of the tubing to one end of the joined structure. This will be used to connect the system to a water source. Step 4: Make as many similar structures as you need to accommodate all your plants. 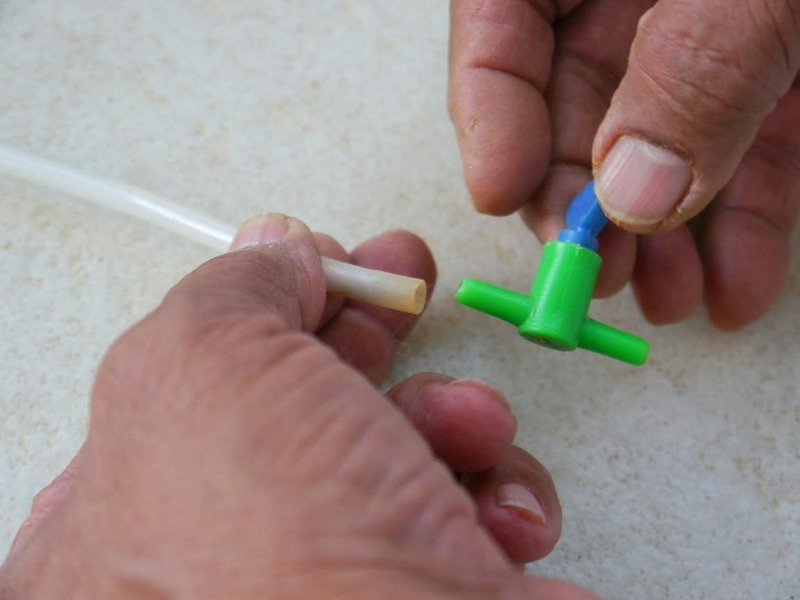 Step 3.2: Fit the valve connector to the other end of the pipe that is fitted on the perpendicular of the T connector. The system uses gravity as a water pump and it is therefore imperative that your water source is placed at a higher level than your plants. Once the water is continuously flowing, you can adjust the valves till only drops of water exit them at a slow pace. Do place a lid on the bucket/tub to prevent loss of water through evaporation. Good for the plant: Prevents nutrient run-off and maintains the health of the soil. The long and continuous watering provides the ideal conditions for the growth of the plant. Saves water: Actual reduction of 30%, from 15 litres per day to 9 to 10 litres per day in summer. 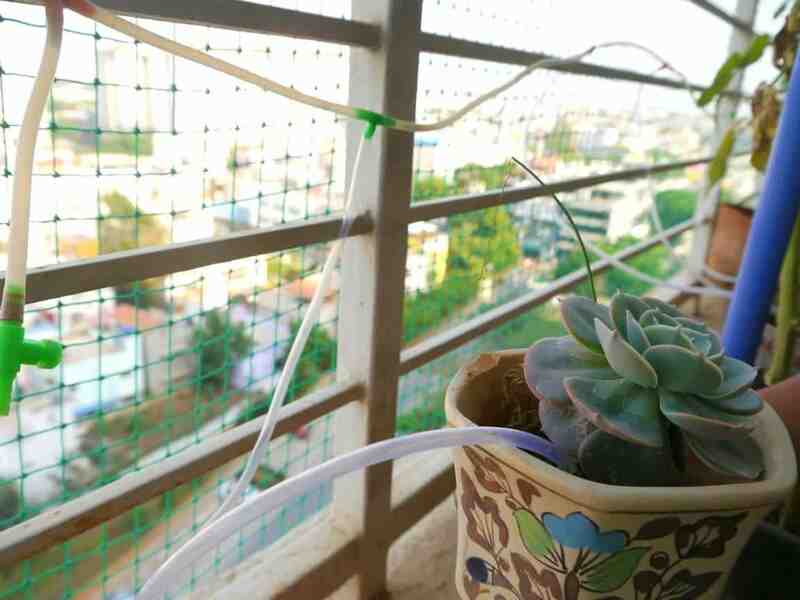 Convenient: There is no need to water your plants directly everyday. All you have to do is refill the bucket of water, when it is almost empty. Have you tried installing a similar system at your home? Do share your knowledge of the process. If you are planning to set up a similar system at your home, do share your feedback once it’s up and running. Rahul is an intern at Citizen Matters. 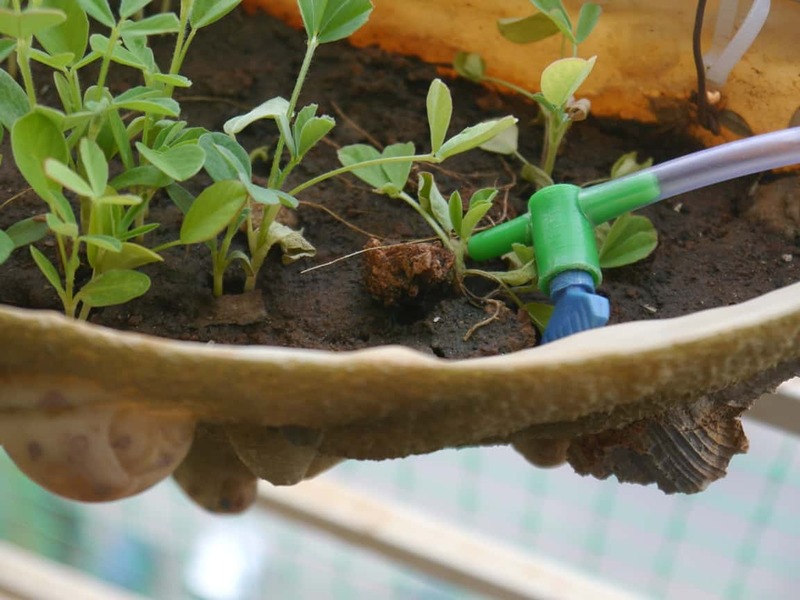 Thank you for the useful idea and the detailed post….Really it helped my plants(15 of them) to be alive after our 5 day vacation this December. 1 . Accessing the right amount of water to be allowed to drip : Even if I set to a desirable water flow on monitoring the flow for a while, the flow rate seems to change over time; have seen some of them even stopping to drip. Not sure how to fix it. I read in the post that you have maintained it close to an year. Any idea on how to solve these??? They are normally green or pink in colour … !!! 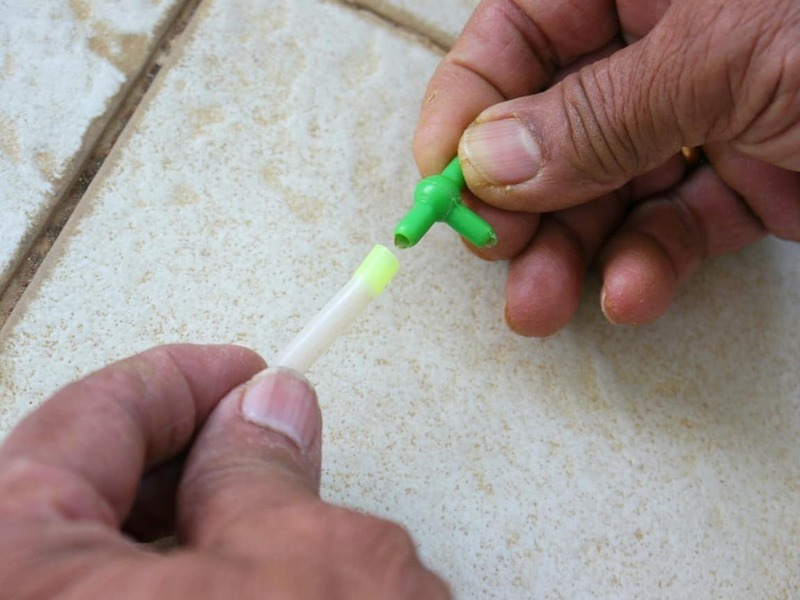 Where in Bangalore can I buy the T-connectors and the valve-connectors? 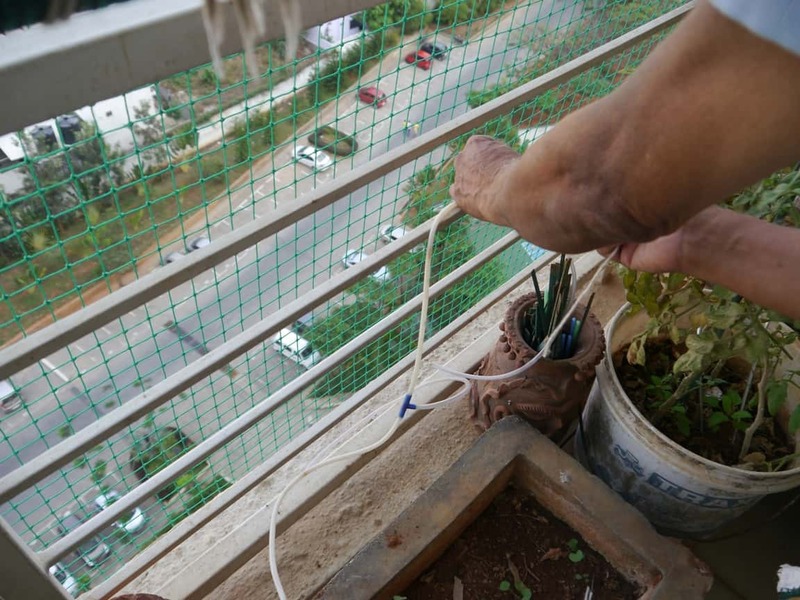 Extremely effective for many with plants in their balcony ….. which should cover a great % of Urbanites …. Great job in explaining the system in detail and sharing it …. (y) …. Come to think of it – why only when we go on a vacation ???? Why not on a daily basis ??? Saves water in huge quantities … !! The difficulty arises, if the duration of the vacation is longer or the number of plants are higher … !!! How do we top up the Bucket of Water / or the Storage Tank … ?? 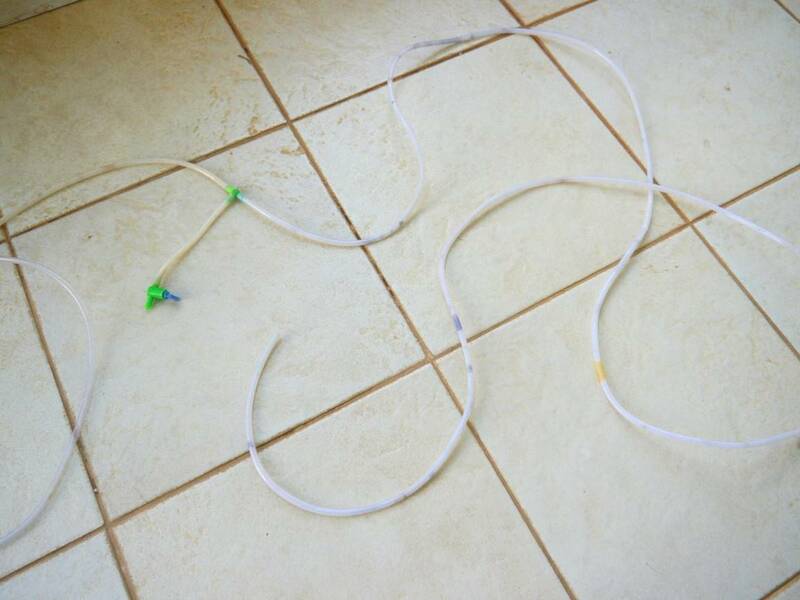 Simpler solution – I use thin ropes or 5 mm wide cloth tape (nada), instead of tubes. 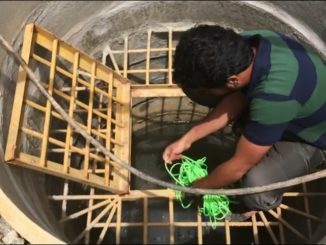 (You may need to size the rope/nada for the proper flow rate (in which case your solution may turn out to be simpler as you can simply use the valve).